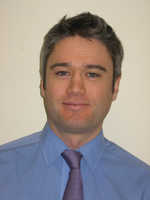 Mike O’Brien is the Product Manager for Newson Gale's market leading range of static grounding and bonding equipment. His primary duties are the market research and specification of new product solutions, bringing new products to market and leading the execution of product marketing programs for Newson Gale’s Earth-Rite®, Bond-Rite® and Cen-Stat™ range of static grounding equipment. He has written numerous published articles on the subject of static electricity and its relevance to the hazardous process industries.